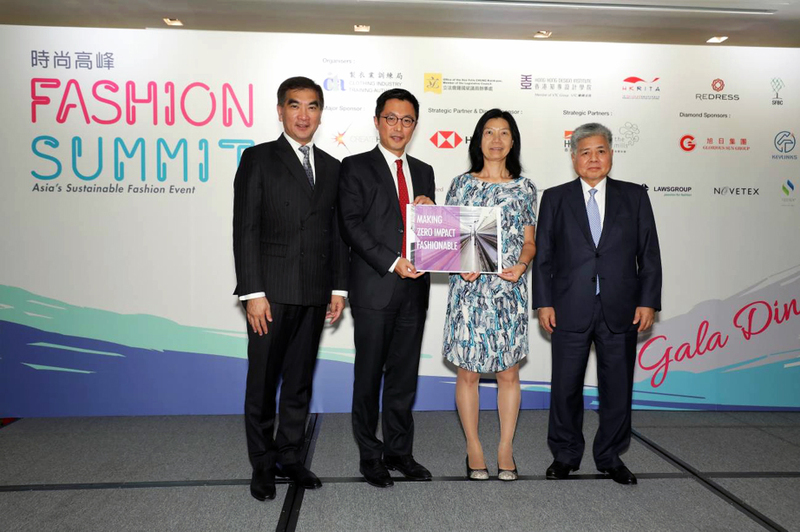 WWF-Hong Kong has partnered with HSBC to foster sustainability in the fashion industry. “Making Zero Impact Fashionable” is a two-year project spearheaded by WWF and HSBC that aims to promote and educate the industry on fashion sustainability. Karen Ho, WWF-Hong Kong’s Head of Corporate and Community Sustainability, announced the launch of the project at Fashion Summit, Asia’s largest sustainable fashion event, held 6-7 September, at the Hong Kong Convention and Exhibition Centre. “The project forges a collaborative network of fashion business leaders, working together to discuss and explore how to implement sustainability as a core value of business planning, product development, company policy and operational practices,” Ms. Ho said. WWF-Hong Kong will provide key platforms for senior management of participating companies to implement sustainable practices throughout their business operations. Companies or organisations will engage with a group of forward-looking leaders to reduce greenhouse gas emissions generated from office operations. WWF’s Low-carbon Office Operation (LOOP) programme helps monitor office emissions and the Low Carbon Manufacturing Programme (LCMP) aims to reduce carbon emissions generated by manufacturing facilities and develop environmental social governance for managers. According to the “Pulse of the Fashion Industry 2017 Report,” released jointly by the Boston Consulting Group and the Global Fashion Agenda, the fashion industry produces 1.7 billion tonnes, or about five per cent of global CO2emissions annually. It is responsible for extensive water use and pollution, in addition to producing 2.1 billion tonnes or 6-7% of global waste annually. “The industry’s present business model is an obvious contributor of stress on natural resources. If production and consumption of textile and apparel follow their current trajectories, the industry’s environmental footprint will continue to expand and negatively impact the planet, specifically in areas of water use, energy and greenhouse gas emissions, use of chemicals and generation and waste disposal,” Ms. Ho said. WWF andHSBC expect the “Making Zero Impact Fashionable” initiative to generate new ideas and solutions to address the pressing challenges of the fashion industry, and reduce the environmental impact from the entire textile and apparel supply chain. Mr. Hon Felix Chung Kwok-pan, Legislative Councilors (Functional Constituency - Textiles and Garment) (Left 1), Mr. Hui Feng Zhang, Head of Corporate Sustainability, Asia Pacific, HSBC (Left 2), Ms. Karen Ho, WWF-HK’s Head of Corporate and Community Sustainability (Right 2) and Mr. Yeung Fan, President of The Federation of Hong Kong Garment Manufacturers (Right 1) present the“Making Zero Impact Fashionable”project begins.